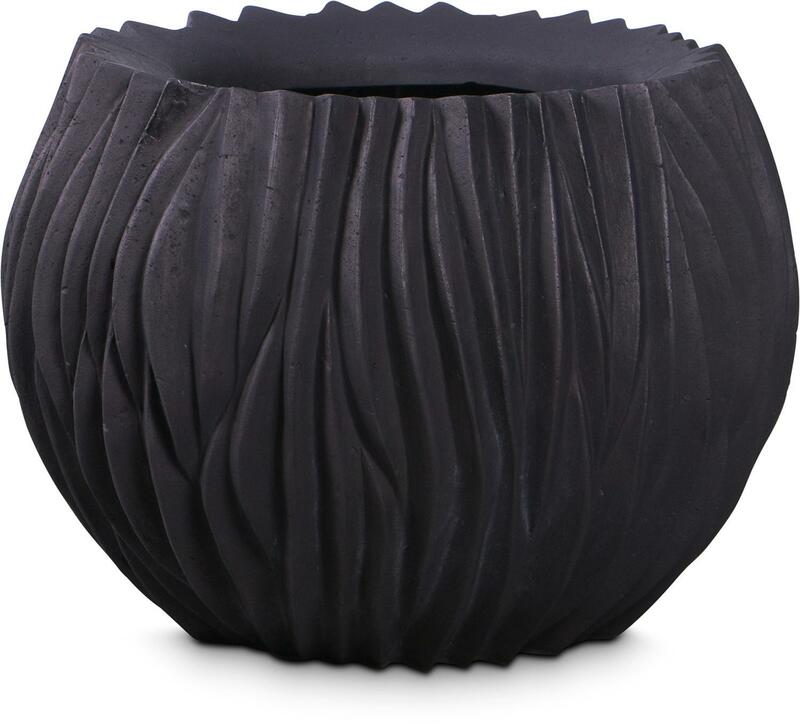 Round plant pot in black with expressive, wavy surface structure. THE eye-catcher in house & garden. 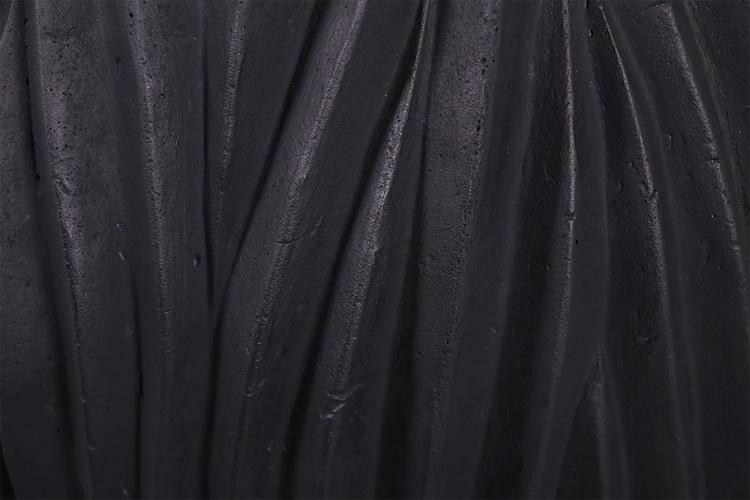 The black plant pot RIVER is made of polystone and is therefore particularly light and robust. With its undulating surface, the plant pot attracts attention and is an expressive design element both indoors and outdoors. The use of a plant insert is recommended for planting.